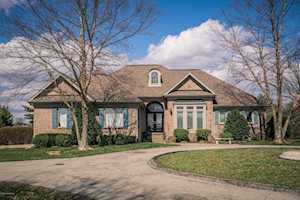 Welcome to sought-after, Nevel Meade subdivision in Prospect in northern Oldham County! This neighborhood can be accessible from 265N to US 42. Construction began in the early 2000s. 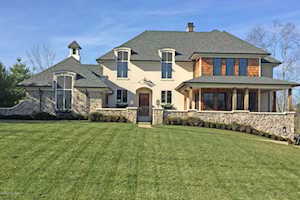 Nevel Meade is filled with multiple styles of high-end homes. Nevel Meade is a great choice for those that want a home with a large lot. Lots range from two to over six acres! The Hollinden Team updates this search for Nevel Meade homes on a daily basis from the Louisville MLS. Click the map on the left to view each home for sale in Nevel Meade. There is a satellite view button in upper right. Homes are large as well. Typically, you'll find 3,000 to almost 5,000 above grade square feet. Homes have spacious basements, too. Two to five full bathrooms and three to five bedrooms are usually what you'll find in Nevel Meade. Nevel Meade also includes a golf course within the neighborhood. In the last few years, homes in Nevel Meade have sold for $560,000 to over $700,000. There are many places to shop in Prospect and nearby. For grocery shopping, there is a Kroger in Prospect located at 5929 Timber Ridge Dr. There is also a Walmart close by Prospect located at 3706 Diann Marie Rd. Two shopping centers close to Prospect are The Paddock Shops and Westport Village. Both of these shopping centers are located in Louisville. There are several restaurants to in Prospect. Some of the popular restaurants in Prospect are the following: J Harrod’s Restaurant, Cast Iron Steak House, Hanabi, The Blackstone Grille, Bistro 42, and Prospect Café. If you enjoy golf, you will be pleased to know that Prospect offers several golf courses including Hunting Creek Country Club, Nevel Meade, GlenOaks Country Club, and Sleepy Hollow. Nevel Meade is in the Oldham County school district. The following schools are Nevel Meade home schools: Goshen Elementary, North Oldham Middle School, and North Oldham High School. If you would like to learn more or have any questions about any of these Nevel Meade houses for sale, just click the "Request More Information" button on any property detail page. The REALTORS at the Hollinden Team can provide you with past sale information, comparables, disclosures, PVA assessment, and tax information – we would love to answer any real estate questions you have.